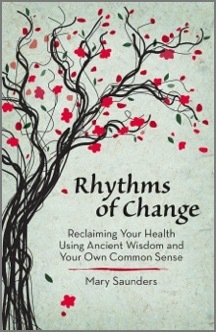 Rhythms of Change takes you on a journey that reveals the ancient wisdom of East Asian medicine and applies it to the challenges of daily life. The book provides self-assessment tools and practical, proven guidelines to achieving a strong foundation for health and a deeper sense of your own well-being. Detailed protocols for addressing the issues typical of imbalance are included. Written for the layperson in contemporary psychological and medical language, Rhythms of Change is an important practice development resource for practitioners as it discusses the characteristics, issues, and wisdom underlying each of the Five Phases. Rhythms of Change provides a new perspective on how to make simple yet profound changes to live with more awareness and satisfaction. Easy to understand and implement. A definite read! Thank you for writing Rhythms of Change! Patients love reading the copy in our waiting room and often buy a copy of their own. Yesterday one of my patients was very excited to read a passage she felt really applied to her and she was deeply touched by one of your Rumi quotes. This brief encounter with the wisdom in your book set a strong connection for our treatment time together. We have started giving your book to new patients at the end of a first appointment. The patients are very happy to receive the gift when they leave and come back with a lot of thoughtful questions. I think this is a great way for practitioners to educate patients and build their practice at the same time. Here is good, nourishing food for life’s journey. Grounded in many years of practice, Mary offers useful tools to help us live in balance with our true nature, to bring our body and soul back into harmony. Simple and most valuable, these are guidelines for real health. ebooks on Amazon. Simply click here. Life is better able to support us when we consciously participate in our own unfolding. When you know what phase you are in, you will have the necessary information to understand what the challenges are and the most effective strategy to meet them. For example, the Wood phase is expansive, a time to make creative plans and clear decisions to move forward in life. The energy of the Metal phase is contractive; this is a time to reflect inwardly on your values and make the often difficult choices to let go of what is nonessential to your growth. Knowing that the door to outer expansion is closed in the Metal phase, you do not waste precious time and energy banging your head against it. Rather, you use the energy available to deepen and further other aspects of yourself.